Novel Gems ~ 3-12-13 ~ Satin Pleasures Birthday Bash! Welcome to Novel Gems ~ Satin Pleasures Birthday Bash 03-12-13! I’m changing things up a bit this week and sharing a gem from my romantic comedy, Satin Pleasures, to celebrate my upcoming birthday. Everyone who comments on this post before Monday, March 18th, will be entered in the drawing. I’m giving away two (2) Amazon Gift Cards in the amount of $10 each. I will randomly choose and gift two names on March 18th. Good luck! It was selfish, but she was enjoying the simpler aspects of Dan’s friendship. Yes. He teased her mercilessly whenever he got the chance. His well-developed sense of humor was a large part of his appeal. So was the fact he carried no expectations of her, made no demands. She could relax her guard with him. Yet, the intense, hot emotions that often shone from his eyes when he looked at her hinted of so much more that she was missing. The day he kissed her on the bridge, she’d yearned for another, the fleeting caress awakening uncertainty, desire, and longing inside her. Making love with the oh-too-manly shopkeeper would be exciting and passionate, even fun. But she hadn’t risked opening her heart since her fiancé had brutally pointed out how little she had left to offer a man. The first thing to suffer from her eighty-hour-plus work week was her social life. The sad truth was her last real date took place years ago and her two best friends and confidants were canaries. All her spare energy belonged to her parents and the mountain of medical bills which grew larger with each of her father’s surgeries. “So, put the man out of your head,” she murmured. That sentiment lasted through two appointments and halfway through the lunch break, when Emily opened the door to her office with a sharp knock. She accepted Emily’s count without question. It was the gaily decorated box sitting on her desk, attached to the end of the balloon ribbons, which drew her attention. Unable to stand the suspense, she cut the ribbons and let the brightly-colored balloons dance across the room in a dozen different directions. Ripping paper and box alike, Tess exposed the largest Hershey’s Kiss she’d ever seen. “I’ve died and gone to Chocolate Heaven,” she exclaimed falling back in her office chair. Her parents couldn’t afford presents any more. This was the kind of extravagant gift her lover, Anthony, might send. But, Anthony didn’t exist. That left…. Searching for the card, her heart thumped irregularly against her ribcage when she found it and read the bold script. Couldn’t resist. Reminded me of you. A special day demands balloons and chocolates. Your friend—Dan. Glancing down at her clothes, Tess grinned. Her dress was the color of milk chocolate. Her smile broadened when she reached up to touch the silver ribbon she’d tied around her loose hair before racing out the door this morning. She was a five-foot-ten confection. Her head pressed against the back of her chair, she laughed with delight. Even when he wasn’t there, Dan had the power to make her laugh. What did one do with such a special man? “You thank him,” Emily replied. Tess smiled crookedly at the realization she’d spoken aloud. She would thank Dan, but she’d have to wait until the new fantasies he’d inadvertently conjured stopped bouncing around in her head like so many wayward balloons. There were simply too many ways to thank a man. 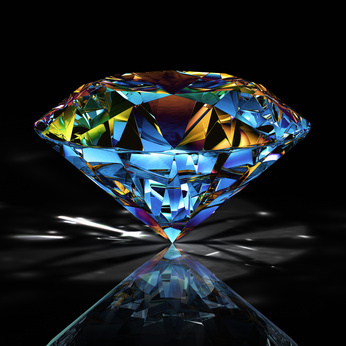 6 Responses to Novel Gems ~ 3-12-13 ~ Satin Pleasures Birthday Bash! Great post. I loved this book. I especially loved the characters and the setting. I used to live in San Francisco, so it was fun reading about a familiar area. I can’t wait for Karen’s next book. Hi, Sandy. Thanks for stopping by to comment AND for telling me you enjoyed the story. When I started this one I lived in San Francisco, too. I was actually caught in a similar traffic jam in the middle of the San Mateo Bridge and spent two hours bringing Dan and Tess to life…so I wouldn’t panic about being on the bridge waiting for an earthquake to strike! 🙂 Okay, yeah, moved there three months after that brutal earthquake in 1989(?) that took out so many bridges/roads. I’m glad you enjoyed the excerpt, Sara. I loved Tess for the same reason. She had a lot of drive and very good reasons for her almost obsessive reach for the next rung on the corporate ladder, but she is also a woman who needs to learn to loosen the reins a bit…which is where Dan comes in! Love Dan! Nice post. The chocolate parallel was a good choice.